Combined tea and coffee pot of lead-glazed earthenware, in five parts. 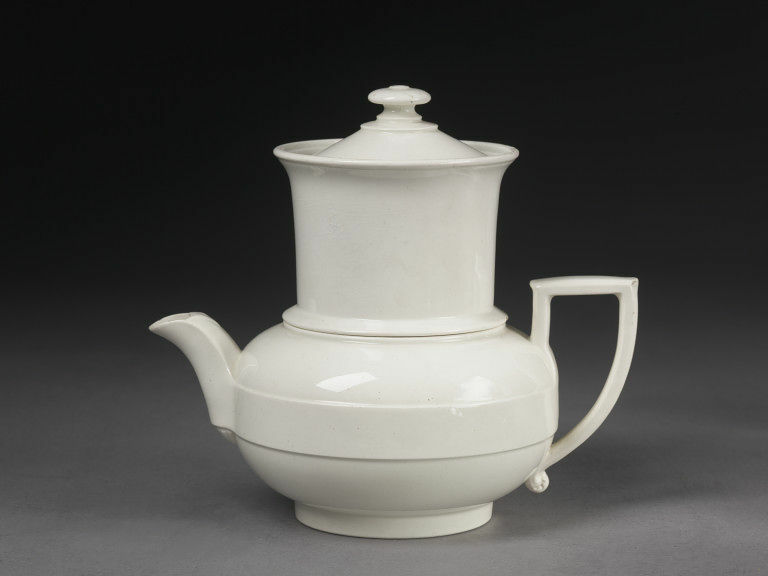 The lowest part, forming the teapot, is of flattened globular form with short spout and angular loop handle; the upper part is cylindrical with a strainer at the bottom, and contains another movable strainer and a presser. 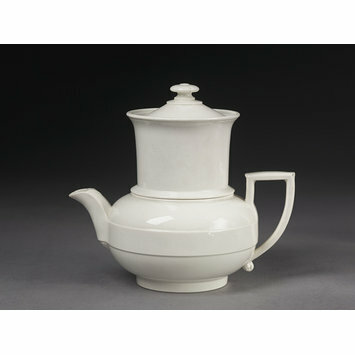 The whole is surmounted by a cover made to fit the lower part when used as a teapot.